It is official my new Style Crush is 24 Year old actress Lily Collins she can do no wrong in my book. Beyond the great Brows that even Cara Delevingne would be proud of, and the fact that she is the Daughter of Phil Collins her style is timeless. 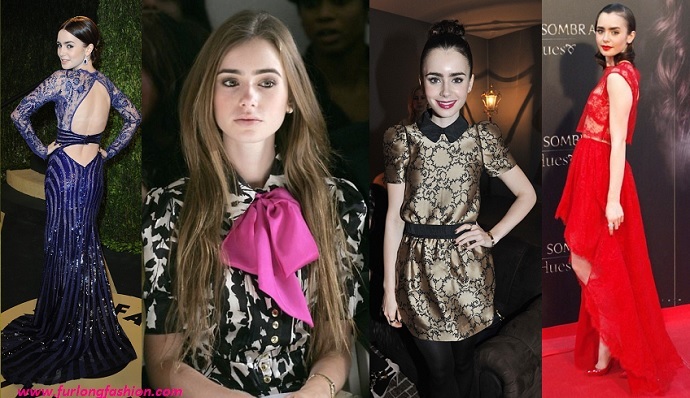 Lily Collins Effortless Fashion Icon. Lily is currently touring Europe promoting her new film The Mortal Instruments: City of Bone, so watch this space as I am sure she will be dressing to impress.